Can You Start Sentences with "And" or "But"? While it is acceptable to use such conjunctions to start a sentence, you should still use them carefully and efficiently, else your text might become choppy. Secondly, many people still regard such usage as informal. If you are writing a formal piece or if you are not sure how your audience might react to conjunctions at the beginning of a sentence, you could substitute them with more formal terms. Below you will find some examples. But I am still awaiting his reply. However, I am still awaiting his reply. Although I am still awaiting his reply. Nevertheless, I am still awaiting his reply. And she was running very fast. Moreover, she was running very fast. In addition, she was running very fast. Furthermore, she was running very fast. Don’t you mean “waiting for his reply” ? Thanks for the heads up, just added the missing a. Perhaps this is a good topic for another post, waiting vs. awaiting 🙂 . To my mind, starting a sentence with somthing like “however” is just the same (maybe worse, in fact) than starting a sentence with “and.” I have no problem with the practice myself. “And” can be a useful and effective way of emphasizing a point. And speaking of “however,” you could probably lose it in your third paragraph. Peter, the whole discussion about starting sentences with conjunctions like “and” or “but” probably emerged because conjunctions, by definition, are words that are used to connect clauses (and not to start them!). However, on the other hand, is an adverb. By yeah I agree that however looks better between commas and not at the beginning for the sentence. I placed it there to make it parallel to the “but” on the example. She was running very fast. The “and” is implied, by virtue of the fact that there are preceeding ideas. “She” has probably been the subject before. In many cases “but” can be omitted for similar reasons. Since “I am still awaiting his reply” comes presumably after the ideas related to it. Yikes, are you seriously saying that “Although I am still awaiting his reply” is a complete sentence? “Although” starts a dependent clause where I come from. Why are we trying to altar the English language as we know it? I for the life of me can’t understand starting a sentence with however, and or but. It appears to me that this follows the whole idea of dumbing us down to accomodate more people who find it too difficult to learn or teach. Don’t tell me that some sentences in the Bible start with and or but because the Bible for the most part was written several thousand years ago and none of the writers spoke English!!! Sorry but this just irritates me but then maybe it’s because I am too old. As a current high school student, I find that this rule is rarely enforced at all. Consequently, I’ve always thought of it as an old-fashioned rule that you really didn’t have to follow unless you wanted to- like using the Oxford comma. As a result, I occasionally start my sentences with “and” or “however”(which I consider to be the equivalent of “but”), even in formal essays, and none of my English teachers have yet to make note of it. In fact, I’ve grown so used to using “however” to start my sentences that I would probably feel quite crippled if I suddenly just stopped. Yet on the other hand, I did notice that my writing sounded much better, albeit a bit unlike my usual style, once I rephrased all the sentences starting with “and”. i dont get this concept!!! any one want to help ? But I like that sentence! Q: How exactly does one “altar” the English language? Attention! Language changes over time. It is a fact and it is important. Starting a sentence with a conjunction is just another trend and probably a good one. Anything that adds to the utility and available options for expression is a good thing. If language didn’t develop over time we would probably be speaking Latin. Anyone ever try to read any Latin? If you have you would probably agree that so far, for the most part, it has been a good thing. Isn’t this a purely typographical thing? After all, we don’t actually have puntuation in spoken English. “She said she’d write to me, but i’m still waiting for her reply.” and “She said she’d write to me. But i’m still waiting for her reply.”. Are pronounced identically, except that the second might imply a slightly longer pause. Not to mention that since “however” and “in addition” are simply longwinded symonyms for the shorter words they repace, allowing one while disallowing the other seems rather hypocritical. I’m a transcriber and I see these things a lot. I had a speaker going on and on and on connecting clauses and phrases with and. I’ve been taught since elementary school to NEVER start with conjunctions, mainly and, but, or. So I’ve gone ahead and not start sentences with and, but as the speaker gone on, I resumed doing a comma followed by an and. I found that there were many thoughts on just this one sentence and it’s turning out to be a paragraph and it was just not right. Once I started some sentences with and, it started making sense. Yes. You can start sentences with and. Although I am still awaiting his reply. = It is a sentence. Subject = I, verb = am still awaiting. But,And ,Because English grammer teachers said dont use them,i found it ok on net and learned to write from my father who is an expert. I am curretly teaching English as a foreig language in Japan. I found that the text book occasionally starts sentences with conjuctions and it really irritates me. 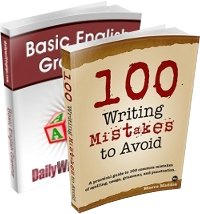 While I am as guilty as the rest for bending grammatical rules in order to make my writing easy to understand, I find it a nightmare to each kids when they can and cannot use but or and to start a sentence. In the end I just refused to allow it because whenever I asked the kids to write 5 sentences I was always getting one sentence chopped ino two using but or and as a starting word. I think amongst native speakers, who mostly know which grammar rules to break and when, it is ok to be a　little lax. When it comes to teaching foreigners, however, trying to explain what is inherently learnt amongst natives becomes too much of a headache. Reading “learnt” and “amongst” is like listening to someone scrape his fingernails across a chalkboard. When teaching “foreig” people, be sure to add the “n”. Extra space in text, and “learnt” probably shouldn’t be taught, either. Yes, I know “learnt” can be used, but most find it is crude, at best. It seems that as long as their is subject verb agreement then the sentence can start with whatever you want it to. eg. But the cat then ran across the street. And the cat ran across the street. I so wish they had a like, thumbs up, or down button. There are just too many points. I came looking to the answer do to, my being sure i read somewhere you can use ‘BUT’ you just had to be sure to use a coma, after it. My fiancee (editor) had me change ALL my sentences in my book with a BUT as the first word. Either joining it to the sentence before or creating a new sentence all together. I won’t be going back and re-changing them. But now i know for future books we are both right and it’s just personal preference. Not if you are British or Australian, learned has a different meaning (somebody with high levels of learning ie. a lawyer. Although, as a Brit, I concede to use the Americanisms smelled, burned and learned because they look better on the page, although, British readers always notice them and complain. As for starting with conjunctions. Yes, yes yes! And especially when using devices like polysyndeton, fragments and run on sentences to generate pace, exasperation and rhetoric. All grammar rules can and should be broken, especially when writing fiction. A grammatically correct sentence is not necessarily a good sentence, and a grammatically incorrect sentence is not necessarily a bad sentence either. Clarity, flow and meaning are far more important. The acceptance of this rule has irritated me to the hilt. I think it is interesting that whenever people justify a language issue by stating that language has changed through time, it is always to disestablish old rules, not create new or re-establish old ones. Simply because usage can be traced back through time and that a thing is common should not be the barometer for it’s acceptance. Consider the context; the knowledge of English grammar is incredibly and insidiously poor, experience and knowledge of different types of writing is low, exposure to writing is predominately fiction and informal, and exposure to “rare words” is low. Using this context as validation is specious. If that is the case we might as well bury capitalization, title case, the hyphen, colons and semi-colons, and all the other sophisticated tools used to articulate thoughts. I am thoroughly supportive of the English language changing. Nevertheless, the direction and type of change is also important. Language is not just for communication, but also for the articulation of thoughts and the environment. As a result, it requires thought, diligence, rigor, and discipline (things I believe most people don’t have). If not and the goal is to make grammar “easy”, we might as well just go around grunting and making bodily noises as modes of communication. @ Gary Well said. Hear hear! A word or group of words, other than a relative pronoun, that connects words, phrases, or clauses; for example ‘and’ and ‘while’. If the idea of a conjunction is to join words, phrases and clauses how can it be correct to separate the two parts of the sentence just before the conjunction by adding a full stop!? Get a grip on the language people, this is foreign people changing the language for you! Firstly, starting a sentence with a conjunction was not ‘wrong’ or ‘foreign’ or ‘informal’ to Chaucer, Milton and Shakespeare. It has only been a solecism since tidy-minded Victorians set about placing strictures on the living language of Englishmen, learned and otherwise. Secondly, when the King summoned the finest scholars in the land to translate the Bible into English, those most-learned gentlemen were happy to represent the Lord their God as beginning his sentences with ‘And’. To protest that the Bible was written thousands of years ago is neither here nor there. Thirdly, we, of necessity, begin spoken sentences with conjunctions day in and out. And quite properly. Fourthly, grammar is about conveying meaning; nothing more and nothing less. Loved your use of FANBOYS. Pity no one picked it up. However, I have one doubt. From what I read such use of a coordinating conjunction at the beginning of a sentence also necessitates the need for it to be followed by a main clause. However, I totally agree with Gary about changes in language: it requires thought, diligence, rigor, and discipline. Gary, I completely disagree. I think that making English grammar far more easy to understand would be desirable in this age. Bear in mind the amount of people learning English as a “business” language far outweighs the amount of English speakers learning, say, Mandarin or any other single language. My point is. We can’t learn every other language in order to conduct business with foreign countries so it would be advantageous for all involved if English was as grammatically simple as possible. Do you like what I did there? Really….I was taught by the Nuns never to start a sentance with Conjuctions and I will continue to follow what I was taught. As for other comments made who think the English language should change….go for it, because in today’s world anyting goes. I was taught in school to not start a sentence with “but”,”because” and “and”. I still abide by those rules,regardless of what’s ‘acceptable’ today. Writing is a form of conveying a internal feelings in words. So that when we write , we follow the rules in order to make the readers satisfy. Starting a sentence with “conjunction” is possible and we do not need to be bound to rules . As far as teachers of Eglihs are concerned they have to adhere to certain rules. Moreover there is confusion for the learners of English as a second language. That one boy was born third in the family. ” he said I am third child in our family” This is the answer given by the boy when their teacher asked about his birth rank. Can anyone guess what is the question his teachers asked for that answer. In High School I was taught “the rules.” I was told what to think and how to write. I was told to never start a sentence with a conjunction. In college I was taught a new set of rules. These rules were flexible; I could bend them. I was taught critical thinking skills. And those critical thinking skills led me to believe that I could start a sentence with a conjunction. The aversion to “learnt” and “amongst” is a Yank problem; we Brits find these irregular verb forms normal, whereas “dove” (instead of “dived”) sounds quanitly archaic to us. One man’s meat is another person’s tofu. But why can’t we all just get along? And personally I never start a sentence with “And” in written English. Except here, coz it’s a blog and ennyfink goze, innit, blood? Surprised face ROFL…. And I’m sorry for the typo. But I meant “quaintly archaic”. Whatever the current trend may be, starting a sentence with “and,” “but,” or “or” is not acceptable in formal writing. Furthermore, I believe it should be avoided because it makes your writing sound choppy, unintellegent, and lazy. That being said, feel free to use it on the internet, twitter, etc. cause that’s just how things roll out there. Also, In certain contexts it may indeed be perfered, however, these contexts are probably limited to fiction/drama and when you want to convey a specific expression/emotion that cannot be expressed otherwise. It should also be noted that these forms of writing mimic speech patterns to a greater extent than others, therefore making such usage correct. Regarding the “quaintly archaric” nature of American English: that makes sense because American English is more directly derived from 17th Century English than other forms of Englush; whereas, for example, British English continued to evolve along a different vein. People who adamantly state that they were taught in school not to use “but” and “and” to start sentences, and that they will stick by it, need to come up with their own view on the debate, one way or another. I was taught many things in school, one of them being that I will need cursive writing for the rest of my life (I hardly ever use it anymore. Most people can’t read it). English is developing, and if it’s developing in a way that makes it clearer to understand for everyone, while still maintaining it’s great ability to express thoughts, views, emotions, etc., then why not accept new possibilities? Honestly, I began using conjunctions to start sentences after reading literature that applied them in this arguably nonstandard way. I was subjected to the same ingrained notion that conjunctions are only used to join separate clauses throughout grade school. But once I stumbled across passages in literature clearly contradicting this, I decided it wasn’t as black-and-white as my teachers professed. Can anyone explain why it’s grammatically acceptable in publishable works, but not in my unpublishable school essays? I also don’t see how using conjunctions to begin sentences automatically requires us to do away with every other grammatical canon. I find it peculiar how one poster refuted an argument based on the fallacy of tradition then proceeded to supply even more fallacious reasoning to his own argument. This article is fundamentally flawed as are many of the opinions in the comments that follow. Take for instance the use of “And” at the start of a sentence. This is a conjunction. What are you conjoining if you start the sentence with “and”? I’m afraid this article should be represented as opinion rather than fact given that you don’t seem to understand the words themselves. One should realise that the rules have a basis in the language, they’re not just a rule for the sake of rules!! You may have been taught that it was “the rule” but if you understood why “the rule” existed you wouldn’t argue that it can now be ignored. The fact that so-called professional writers flaunt or inaccurately represent the language does not mean that it should become the norm to flaunt these constructs. If there are flawed concepts or ones that are outdated, such as occurs in language over time, then replace them with the new. Don’t presume to be able to do that when you are in effect trying to bastardise the meaning of a word to make it mean… well, nothing! I mean, come on, why not just say that because some people don’t know where to use “their”, “they’re” and “their” it means that over time it becomes less important and anyone can use them willy nilly without concern for whether they are incorrectly used. Don’t be an ignoramus, the constructs of the language still hold true. I think it’s simple, people who use And or But at the begining of a sentence are lazy. To say times are changing and anything goes is silly, lets see what happens when people start writing letters, emails, documents, assignments and essays in text speak…….sure it’s just a sign of the times changing innit! Just because people do it and have done for years, does not make it right. If you want to start changing the way the English language should be written, why stop there, why don’t we start changing the the spelling of words too and the way the English language is spoken, spell words the the way they sound when some people without the grasp of the language talk! I fink Lat wud b realy gud an ezee 2 undurstand 2. An great for foriners don ya fink? Okay this is just my opinion, but I think a good writer could and should use the words “and”, “but”, and any other conjunctions to start their sentences. Why you ask? Simple, a good writer should always be looking for new and complex ways to convey simple ideas. Furthermore, if they are successful at using a conjunction to start a sentence then clearly they are able to grasp a concept that former writers could not. This is why I choose to think of it not as a way of making it easier but instead adding a completely new level of depth to the language. I do, however, agree that as of late the American educational system has become rather lacks. I can give you scores of examples of this kind of methodology, but I think you get the point. And let me say just this: Every person here who has railed against this supposed change in language use–save one, I think–has either grammatical or mechanical errors in their posts–and, more often than not, several of them**. I’m not talking about typographical errors or even things like the rather forgivable “it’s” as a possessive adjective (which makes a couple guest appearances), either. *Not “proven,” prescriptivists! Did you know that? I noticed it BTR, referring to your last statement. I read a few uses of improper English, in more than one post. I use improper English on accident, because I don’t have a great command of writing English. So that’s saying something, for me to notice their grammar errors. It’s speaks of ignoring their own improper usage to convey their own perceived improper usage of the English language. I see a paradox in that. This is a very low quality blog, and the writer of this article has a limited understanding of English grammar. The writer claimed, in the comments section, that ‘however’ is an adverb, and not a conjunction. This is nonsense, as ‘however’ is a conjunctive adverb. Recommending the use of ‘although’ instead of ‘but’ because ‘but’ is a conjunction is also wacky, since ‘although’ is a subordinate conjunction. There’s nothing wrong with a bit less rigidness in writing style, but when there are people here potentially trying to learn about grammar, this article will only serve to confuse them. Freedom from the rules of grammar should only be exercised once you have an understanding of those rules, otherwise you’re just writing any old way without reason. “But” can be used to open a sentence as an opener. This is completely wrong. Their usage of coordinating conjunctions was, and is, considered acceptable from an artistic standpoint since they are used in conversations and poetic alliteration. This is also completely wrong. The Bible is a collection of oral stories that were originally structured in poetic form to allow for maximum retention and interest in the listeners. The usage of coordinating conjunctions in The Bible is often used as a perfect example of poetic alliteration for maximum, emotional effect. Once again, this is the use of coordinating conjunctions for conversational effect. This is true. Unfortunately, if you have no idea how and when to use grammar properly to convey meaning, then you have no interest in conveying your message properly. A perfect example would be how Stephen uses points that duplicate other points because he has no idea what he’s talking about. I used Stephen to prove my point that there is a strong presence of pseudo-intellectualism on the internet that arrogantly chastises anyone that correctly states the proper use of coordinating conjunctions, and as proof of their claim, the pseudo-intellectuals show that they don’t have a basic grasp of grammar or literature. You can see this belief reinforced in the statements that subjectively starting sentences with coordinating conjunctions is a sign of critical thinking, when in reality, the use of a thesaurus or editing what you have written would be the actual sign of critical thinking. In normal written communication, never start a sentence with a coordinating conjunction. What you have written will read like your brain stopped working in the middle of the sentence, and that instantly tells the reader that you’re a bit slow. Also, and this point is completely ignored by everyone that believes you can start any sentence with a coordinating conjunction, your usage of coordinating conjunctions is completely subjective and your reader may not agree with your usage. This means that if your reader thinks you shouldn’t have started a particular sentence with a coordinating conjunction, regardless of what you think or feel, your sentence is grammatically wrong and the reader thinks you’re poorly educated. There’s no reason to weaken yourself just so you can argue excuses for not trying to write properly. Conversational. If you’re writing a conversation or in a conversational tone, the rhythm of the communication would seem absolutely bizarre if it was completely grammatically correct because people do not speak in a grammatically correct fashion. Actually, you would sound like an alien posing as a human on your way to Earth Capital. Poetic Alliteration. If you think of poetry as the pure, emotional conversation of the human soul, then grammatically correct sentences have no logical place except to destroy the flow of passion. Alliteration will reinforce the strength of emotions, create a rhythm to help induce hypnotic states, and reinforce important points. “But to be frank, and give it thee again. That’s beautiful writing, but there are plenty of people posing as authorities on the internet that can’t tell the difference between what was written above and business communication. To put it bluntly to anyone else that still doesn’t believe that randomly starting sentences with coordinating conjunctions is grammatically correct, remember this axiom: Your belief that your subjective usage of starting sentences with coordinating conjunctions does not constitute a universal rule that refutes the actual, defined usage of coordinating conjunctions nor is it accepted as grammatically correct to any other writer or any reader. My apologies for the long and antagonistic post, but writing has become so lazy in the past 10 years that “writers” can’t be bothered to run a spellchecker on their articles before or after posting them online to the AP, Chicago Tribune, Washington Post, and a few others I read recently. Just stop coming up with excuses for being lazy, and stop trying to pose as being educated or dynamic because if you hold your writing standards to the same level as a functional illiterate, you will write like a functional illiterate.